Governor Willie Obiano of Anambra State on Friday visited the President-Elect, General Mohammadu Buhari in his Aso Drive residence, Abuja. 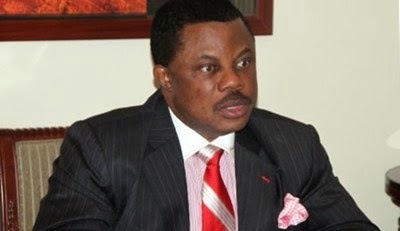 Obiano’s visit came when speculations were rife that he was planning to defect to the All Progressives Congress, APC from the All Progressives Grand Alliance, APGA where he was elected. But speaking to Journalists at the premises of General Buhari, who said that his mission to the president-elect was to congratulate him.